An update to our recent post on Facebook Connect: Facebook is pushing partners hard to be prepared for an official November 30 launch. 24 of 26 announced launch partners have yet to integrate Facebook Connect. We’ve spoken with a number of them. All say they are still planning to integrate the product eventually, but complain of bugs and other issues and wasted development efforts to date. Some, afraid of policy changes that will make Facebook Connect less interesting, also say they’re waiting to see the final product before launching. A number of new features are being added. One, called FriendLink, allows a site using Facebook Connect to pass email addresses to Facebook and get friend recommendations back. 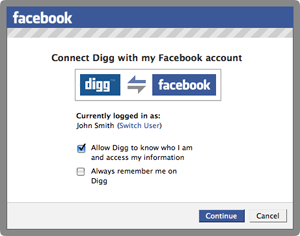 This allows sites to make connections between users that they may not know about yet (but that Facebook already knows about). It’s a key feature that is attracting a number of partners, we’ve heard.